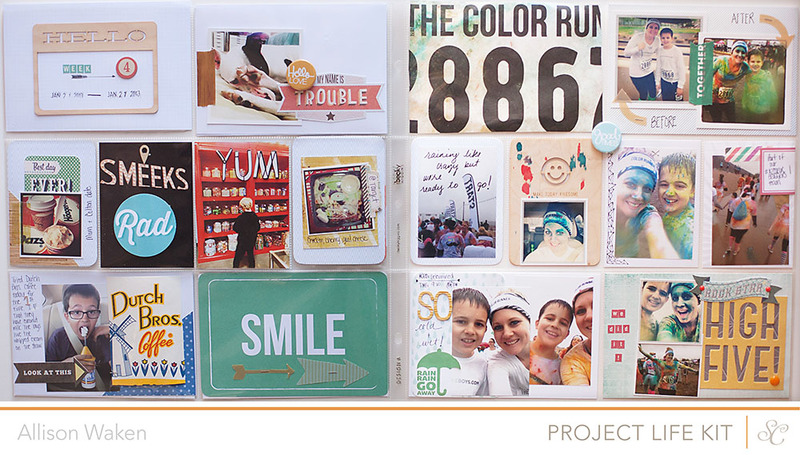 I made this Disneyland Project Life album insert from a recent trip for a Studio Calico weekly challenge. I love scrapping trips so this won’t be the last time you see photos from this trip I’m sure! 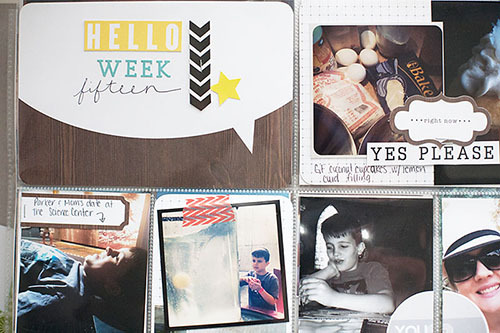 The weekly challenge went up at the Studio Calico blog yesterday at it’s all about masking! I made some cards using the Dear Lizzy die cut from the March PL kit and the mini mask from the March card kit for my layouts! 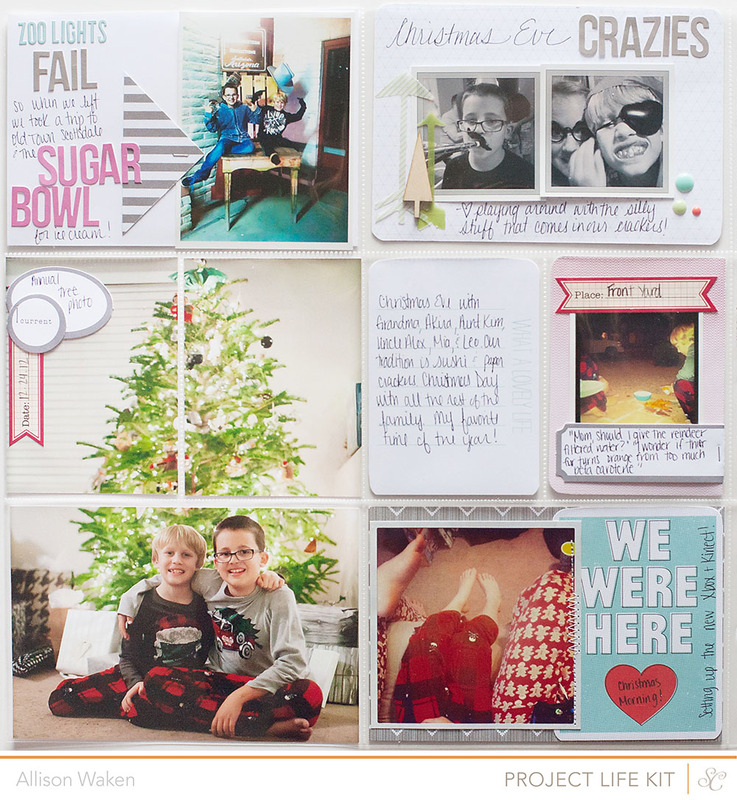 Check out the Studio Calico blog to find out how to join in the challenge! Front Row is now available! 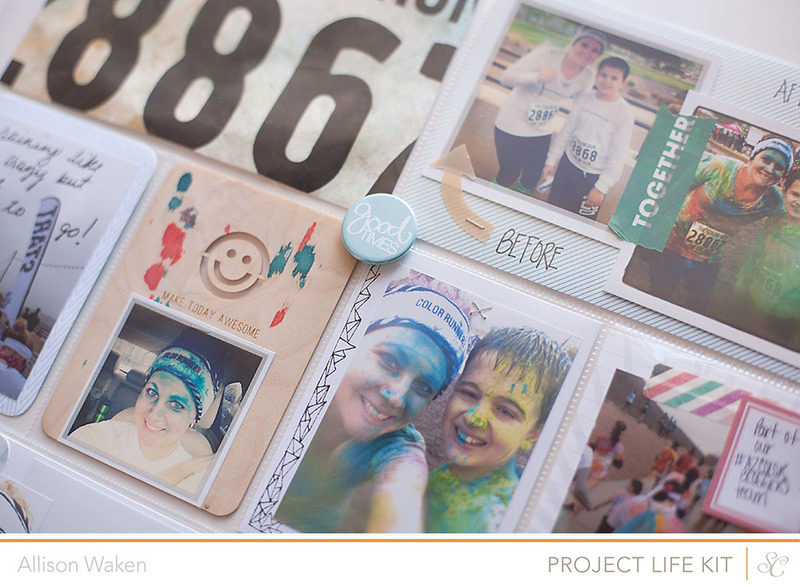 I got the PL Kit, Card Kit, and Big Screen add-on (which is still available!) You may also want to grab the Amy Tan Stamp and Signed Amy Tan book while they are still there! I am definitely a random person so I happen to like random posts! 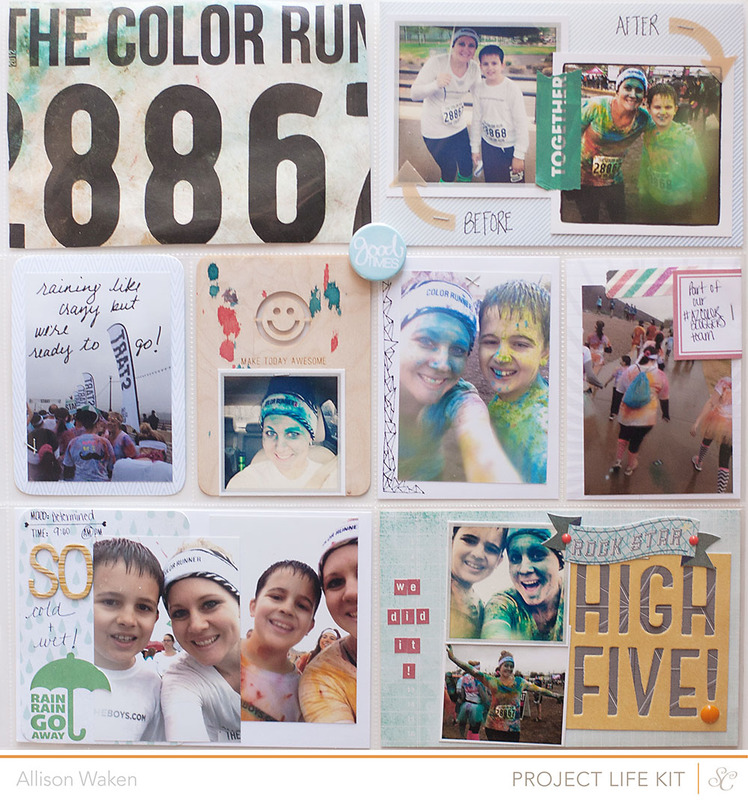 The Color Run is this weekend! Little man and I are excited but a little concerned about the chance of rain. Us desert dwellers don’t know how to run in the rain! Could be an interesting mess! 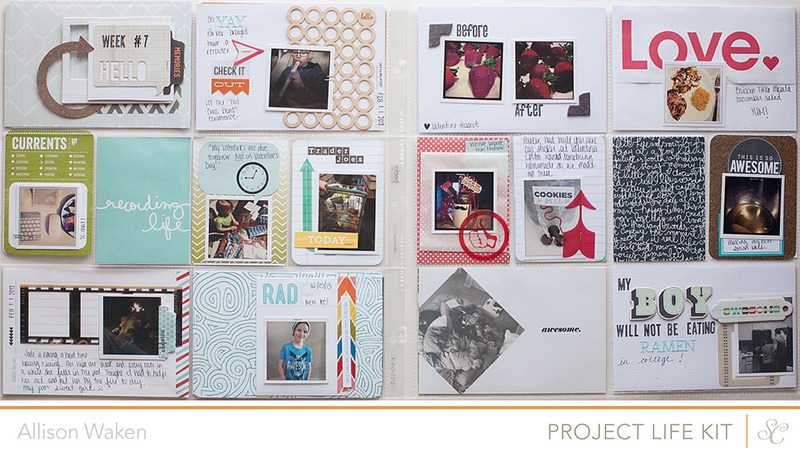 I have a few sneaks of my PL only kit from Studio Calico’s Front Row! My mom said she likes when I scrap with old photos so I think it’s time to print a stack of some oldies! 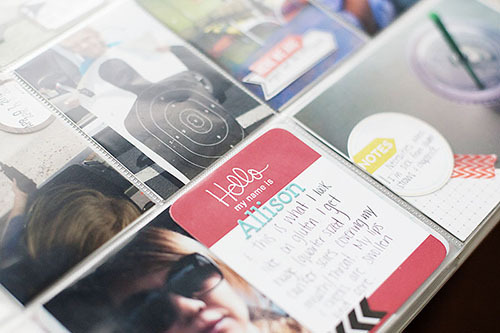 I love printing with MPIX if I don’t have a last minute deadline so I think I’ll place a nice order with them this weekend! The color is much more muted and “minty” in person which I was happy about! 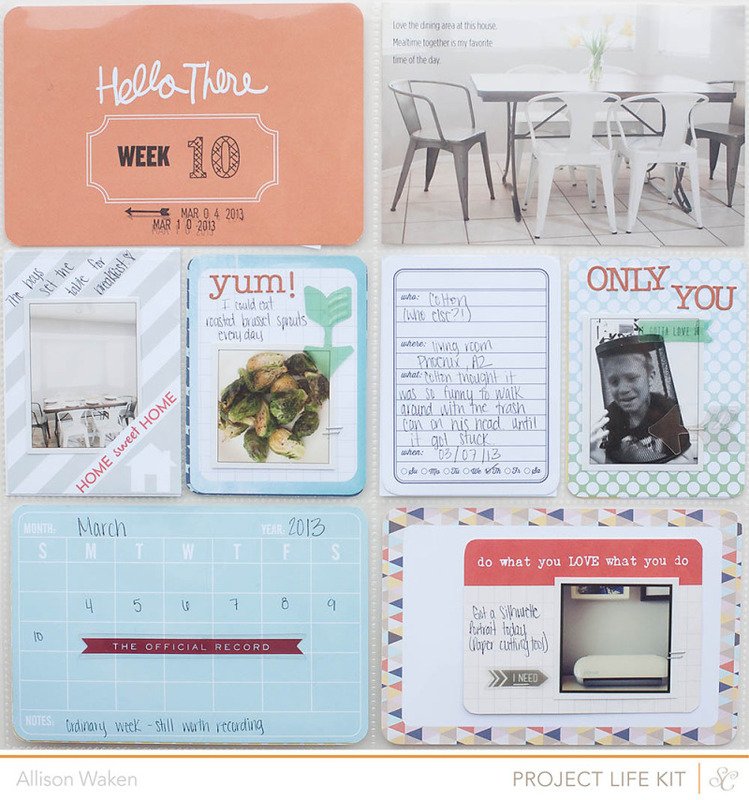 I have plans for some step by step tutorials that some of you had inquired about in the past. Learning the ropes of video editing so hopefully I’ll have something for you soon. Even if it’s a short one to begin with. I’ll still take requests as well if there’s anything you’d like to see! I have no idea how to write this post lol! I thought I’d do a “recap” but I’m not really sure how to! I attended my very first CHA show this last weekend! Catherine and I met up to walk the floor as “first timers” together. 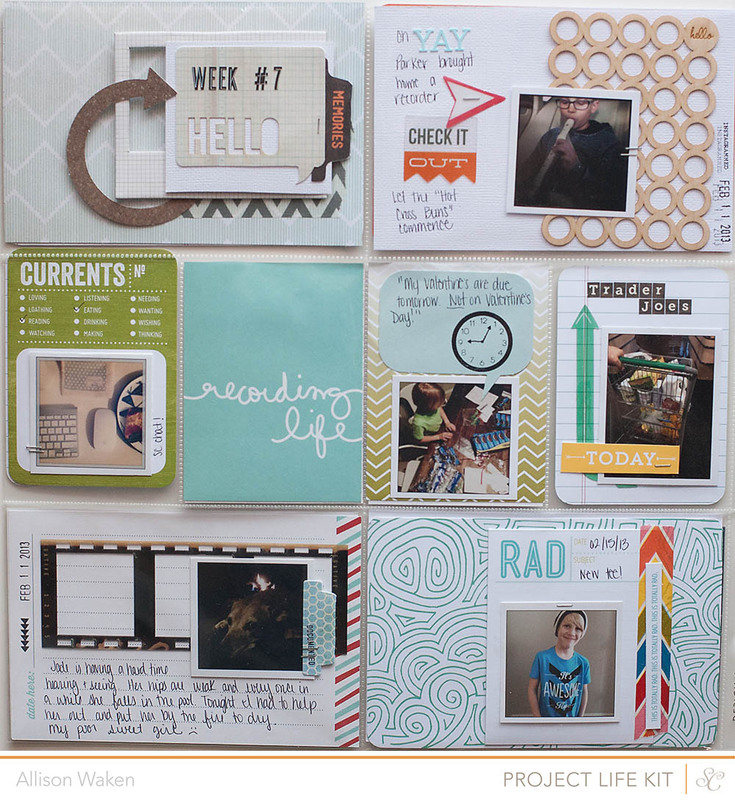 It’s a complete mix of scrapbooking manufacturers, adhesive, jewelry making supplies, and any type of craft supply in between. 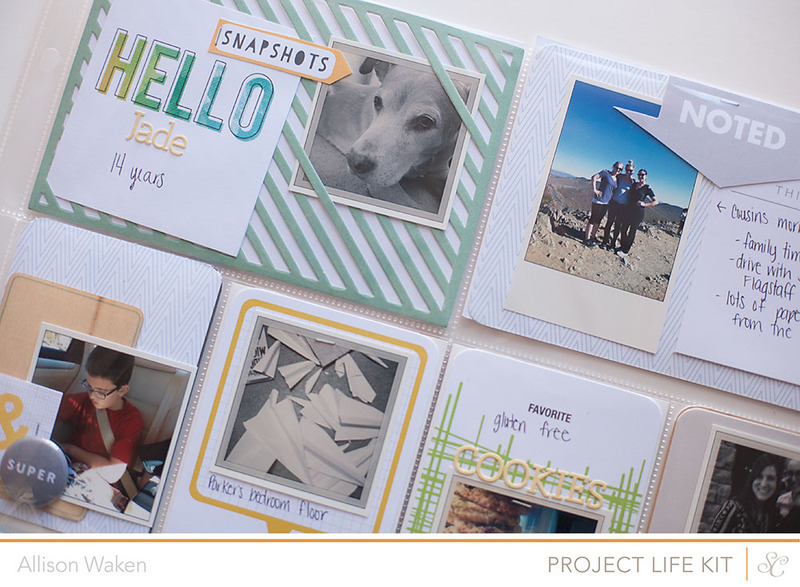 Of course our first stop was the AC / Studio Calico / Project Life section. The Studio Calico booth looked great! Here & There might be my favorite line! Maggie’s booth was as gorgeous as she is! And Amy’s booth was SO fun! 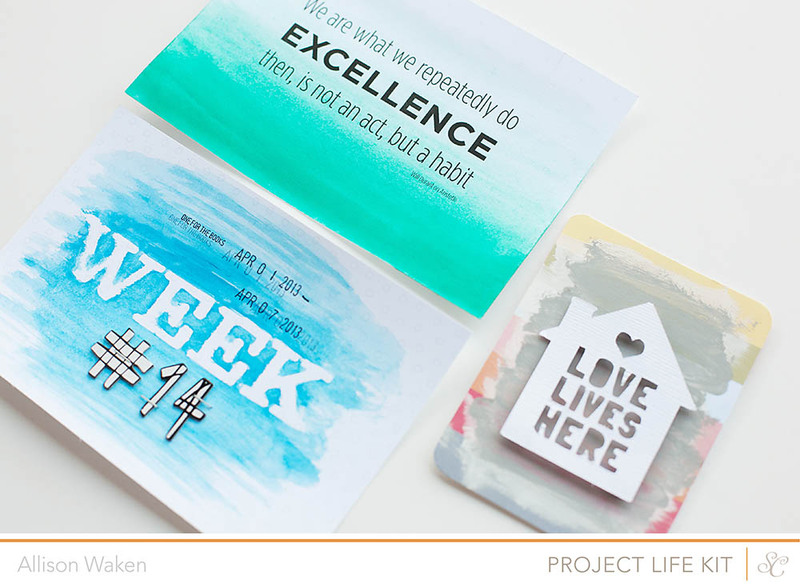 You’re going to LOVE her new calendar stamp and embroidery stencil kit! I got to see my Elle’s Studio layouts hanging up in her booth (I’ll share those here tomorrow) AND meet Elle herself who is just as sweet as she seems online! Another highlight was getting to chat with Ali Edwards (and Katie too!) Chai latte with a shot of espresso was a necessity! One of the lines that surprised me (in a good way) was Special Delivery by Heidi Sonboul for GCD Studios and their booth was super cute! 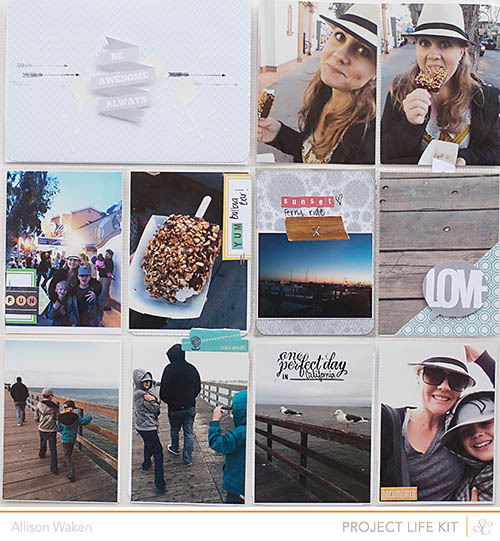 That night I got a chance to go to Disneyland / California Adventure with some of my crafty blogger friends. Will be posting more about that on All for the Boys and All for the Everyday! It was SO cold! I’m wearing leggings, jeans, long socks, tank, dress, sweater, sweater, jacket, and scarf lol! I was pretty good that way! 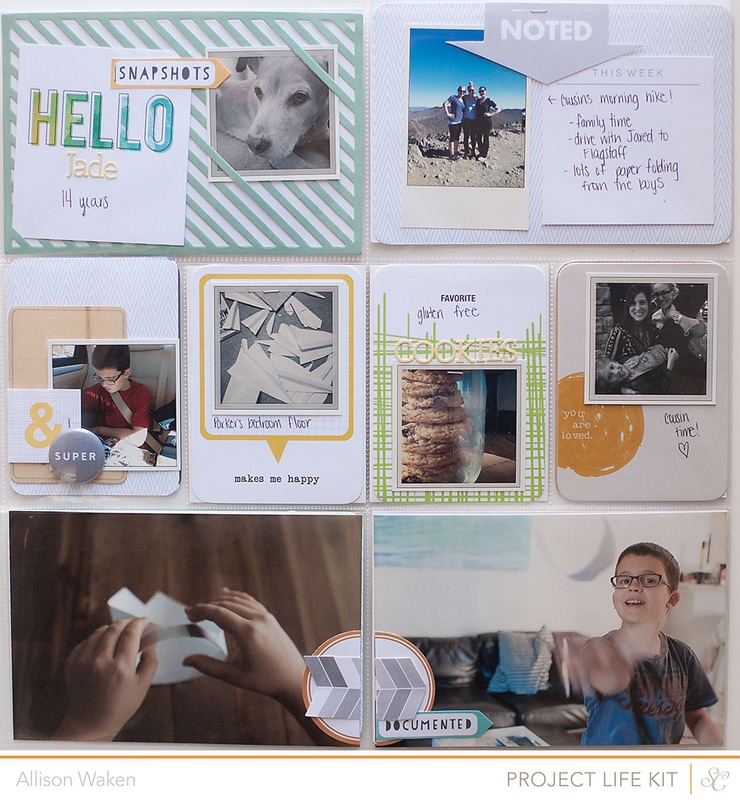 The next morning I was excited to meet up with some of my Studio Calico / Instagram pals to walk the floor! The Allison Kreft for Webster’s booth was always so busy because her line is gorgeous! Basic Grey’s Hipster line was another favorite of mine! That night I went to dinner with the Studio Calico crew and it might have been the highlight of my trip! SUCH an amazing team to work with! I feel like there were SO many people and products that I didn’t get to see. 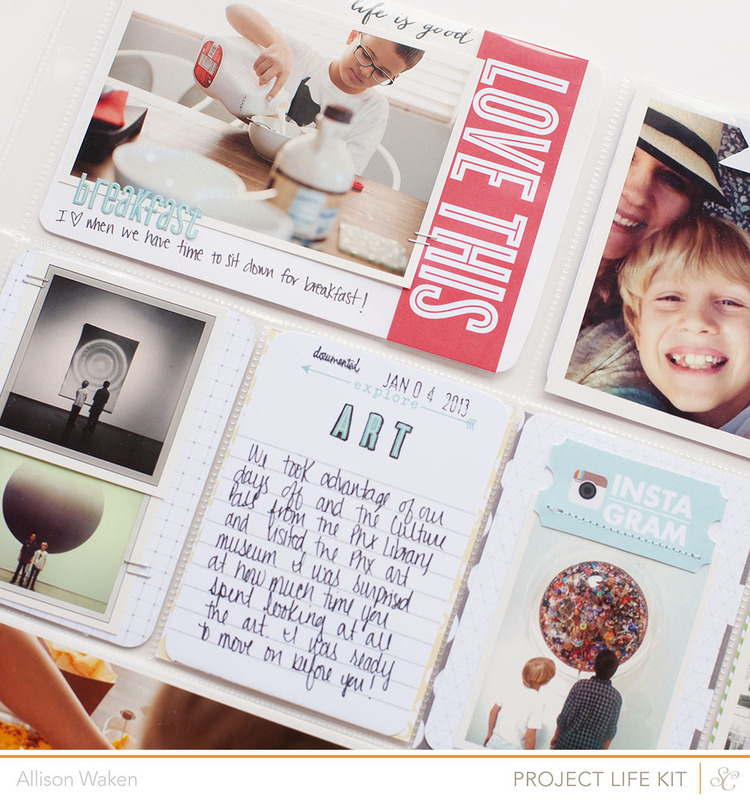 I need a list next time (says the non list maker)! I am still so honored and humbled to be working for the best companies and was excited to see the booths and products so early and in person. If you have a picture of/with me link me to it so I can save it! 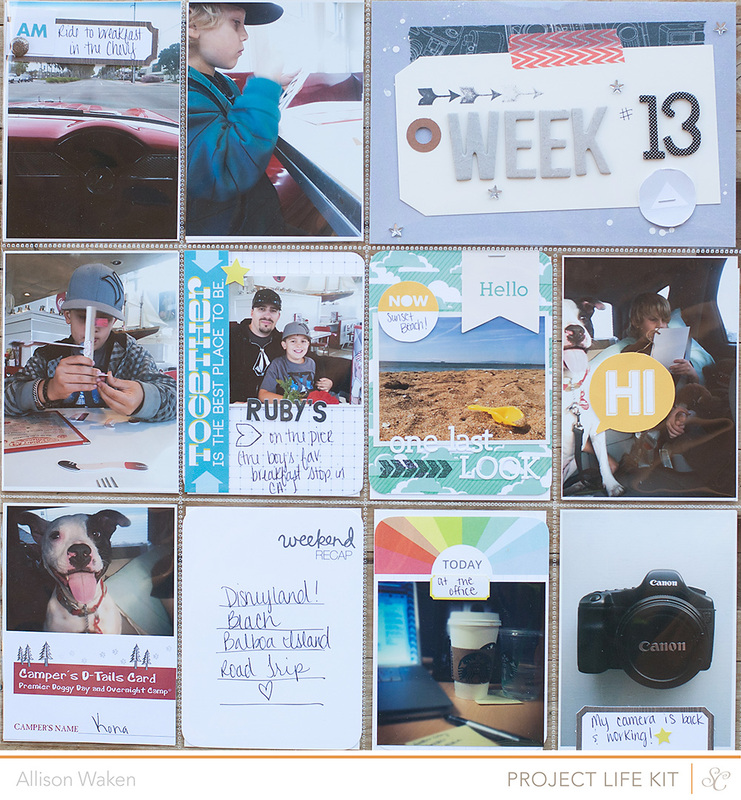 For lots of detail I recommend keeping an eye on The Scrappy Jedi (who I also flagged down while I was there ;) she does some awesome CHA posts and she actually had her camera out! 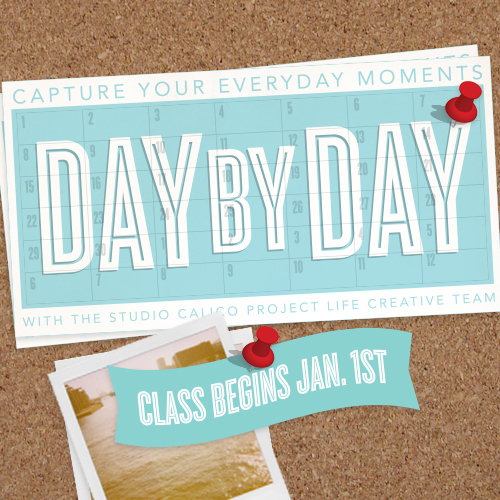 Have you seen the class for this month at Studio Calico? 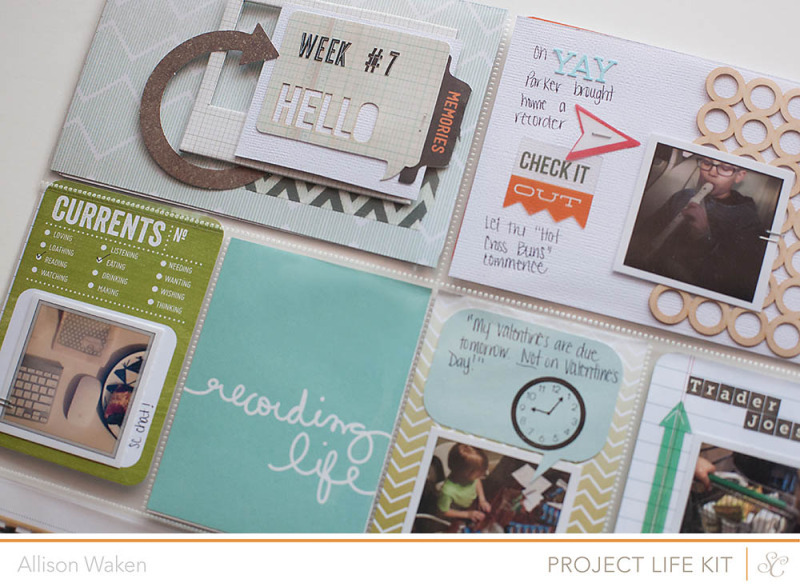 Start your 2013 Project Life album off on the right foot with our new Studio Calico Project Life Creative Team! 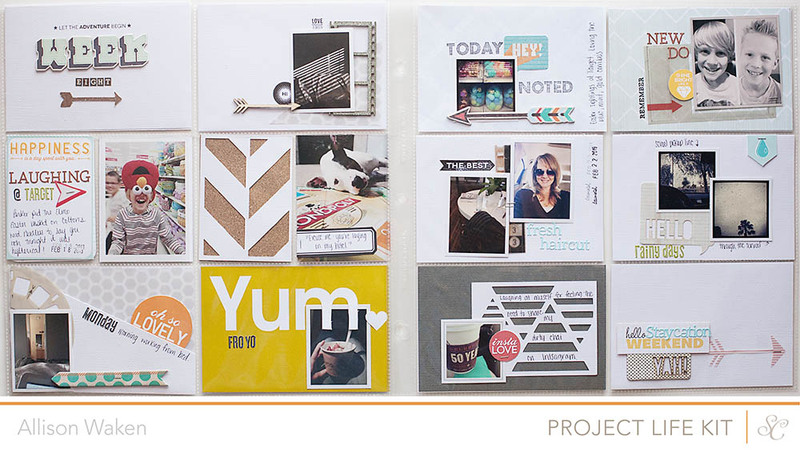 Each of these talented ladies has their own take on Project Life, and they will be taking you through building a spread in their album from start to finish. In addition, they’ll be sharing cover pages, tutorials, and videos that will help you fine tune your own approach to your album. Take advantage of their expertise and get ready to record your year, DAY BY DAY. 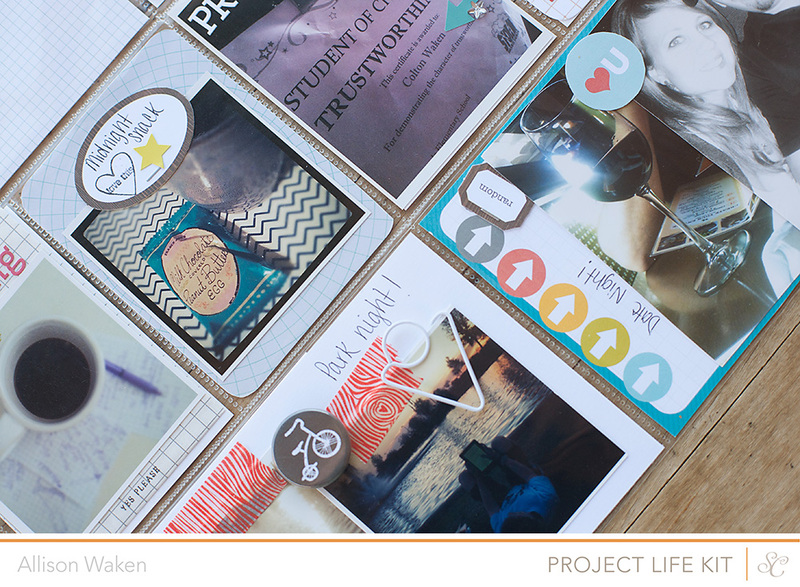 While supplies last, students will receive an exclusive 4x6 clear stamp set. 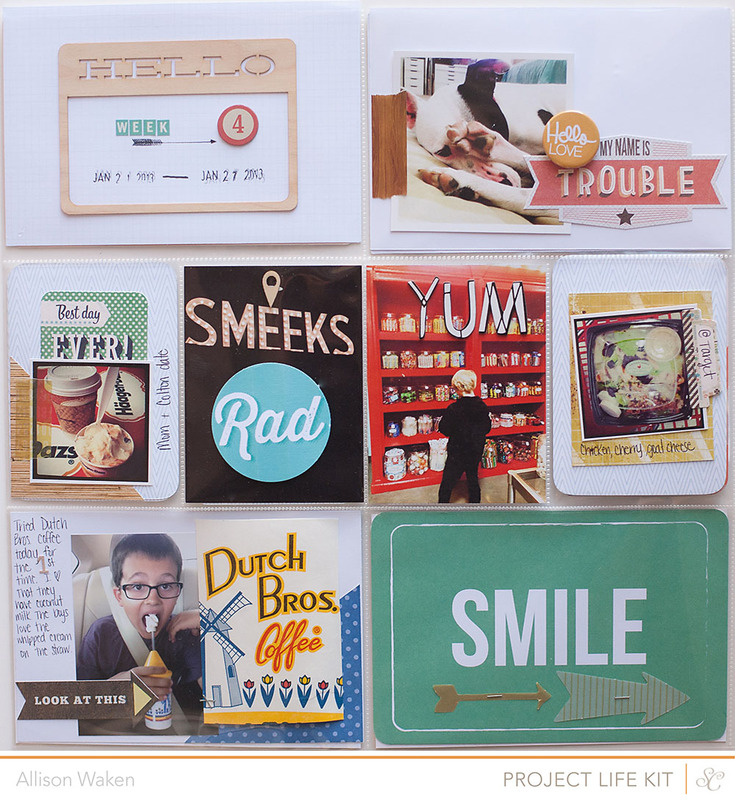 This stamp set will ship free to anywhere. 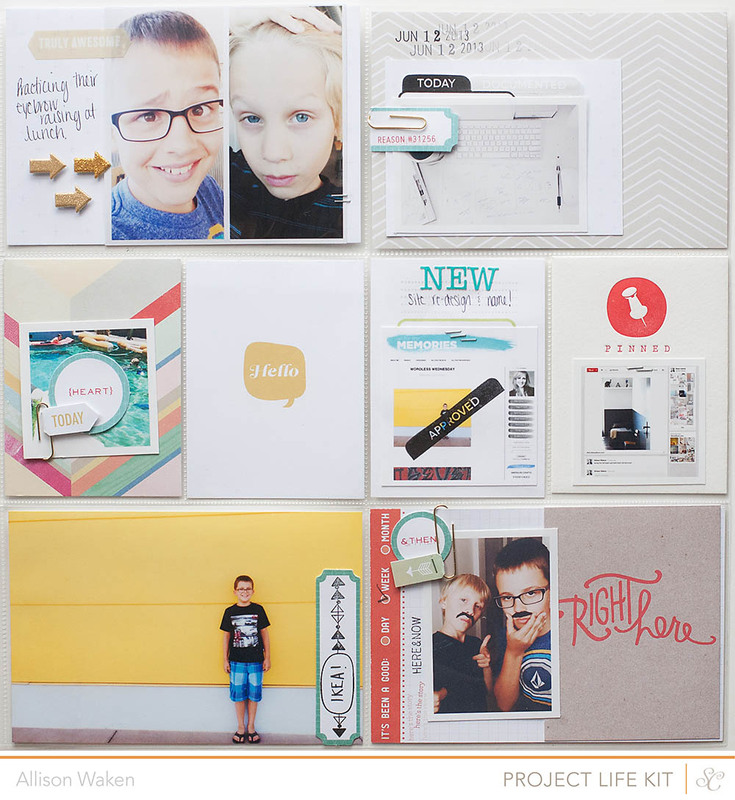 All students will receive access to digital stamp brushes, as well as printables by France Wisniewski of Bananafish Studio and Tina Aszmus of Life.Love.Paper and die cut files by Kinsey Wilson and Marcy Penner of Hello Forever. 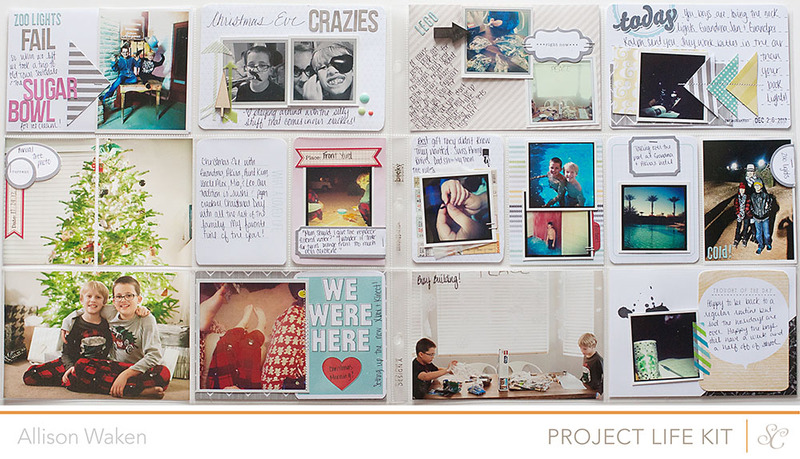 You can see all of the digital files here. 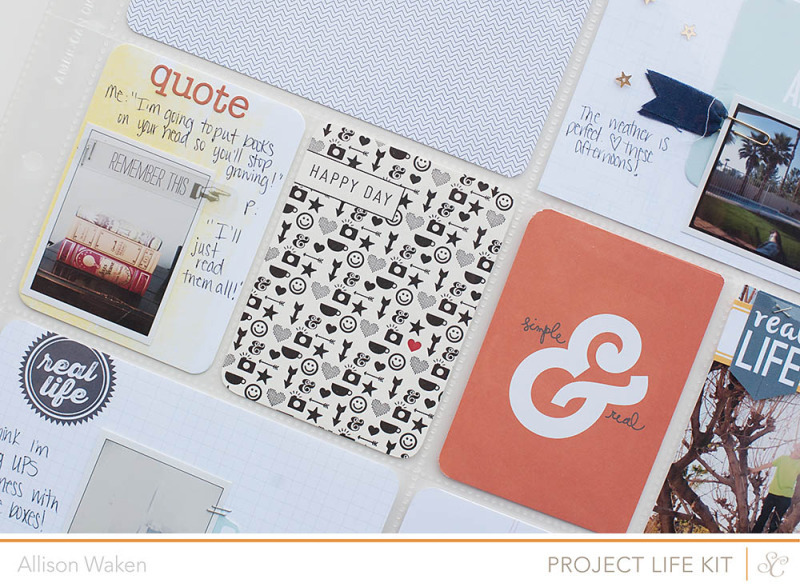 My favorite has to be the stamps! Whose in?! You only have until the 31st to register - Class starts on the 1st! Block Party is out! 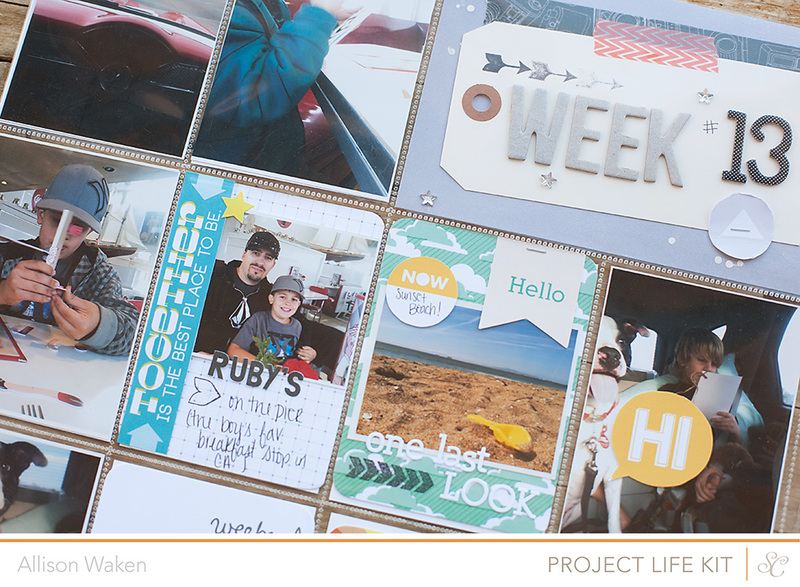 Unfortunately the Project Life kit has been sold out. If you’re thinking about it - jump on the waitlist now! Let me know if you have any questions about anything in particular! 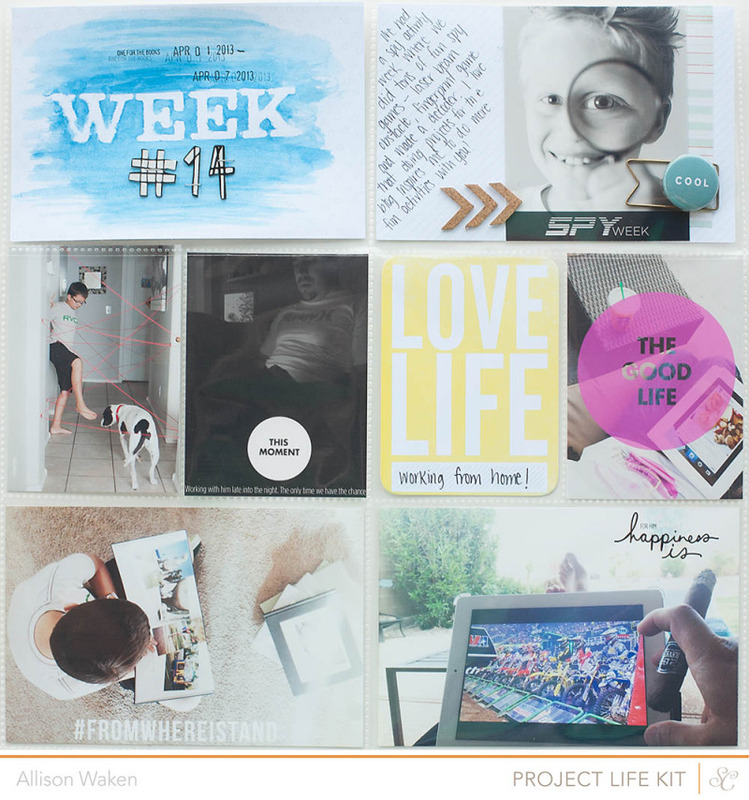 I’m filling in missing weeks this month and should have some brand new weeks for 2013! 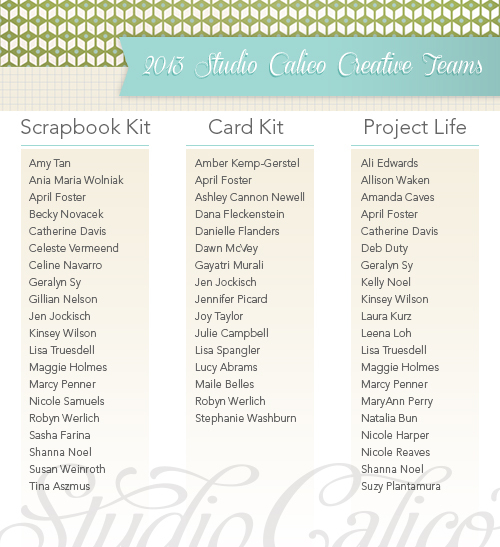 I’ll be chatting at the Studio Calico reveal tonight! Will you be there? I saw this storage piece at the Potato Barn last weekend and fell in love. I need it! The boys went swimming at Grandma’s hotel yesterday - then they bundled up in beanies, scarves, and coats for Zoolights. Gotta love AZ! Excited to share my first sneaks from Studio Calico Block Party! 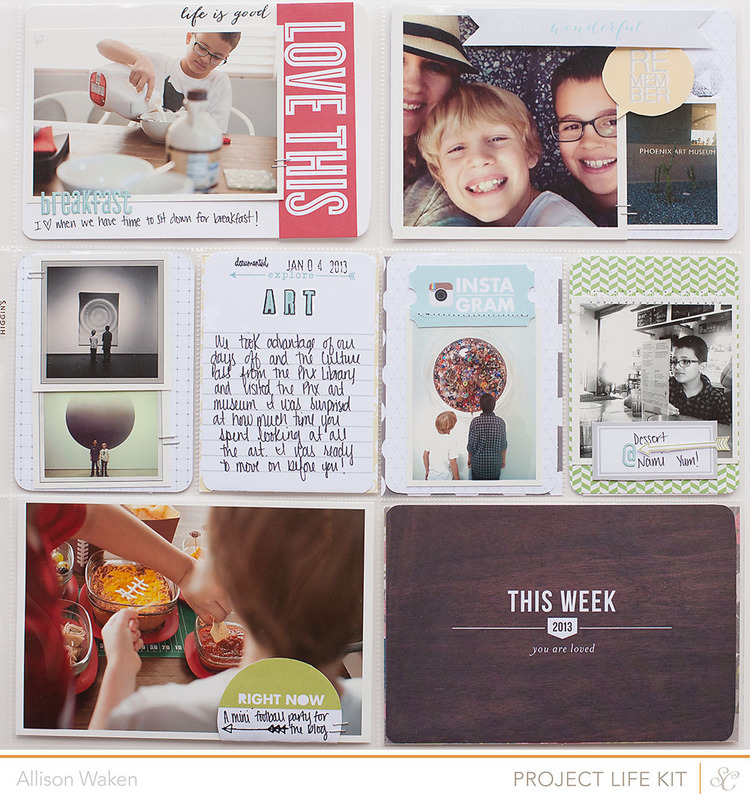 So far I’ve done 2 weeks and am working on my 2013 title page but waiting on photos for that. Now I’m off to celebrate Christmas Eve with my family! Back later this week with the full reveal! and I finally get to share!! 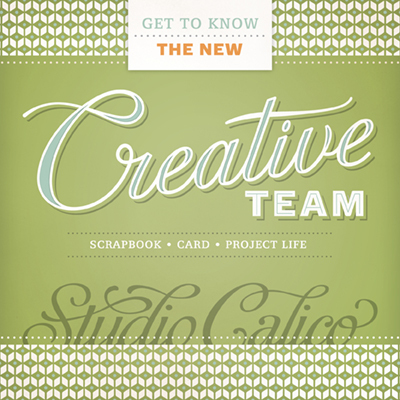 Studio Calico has a NEW Project Life Creative Team - check out who’s on it! Besides all the other amazing ladies - ME! 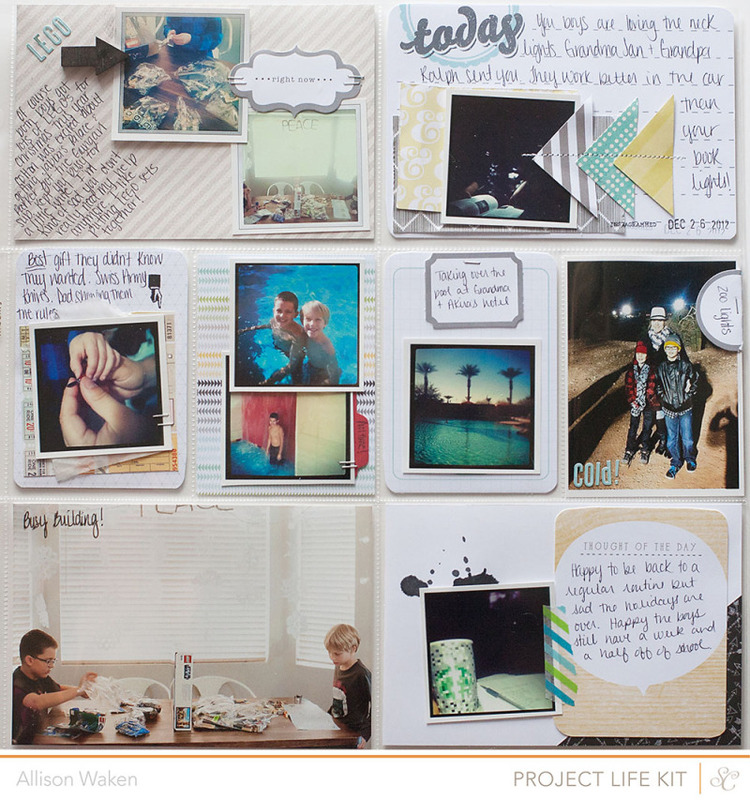 Here are a couple sneaks of my very first PL spread using the January PL kit. 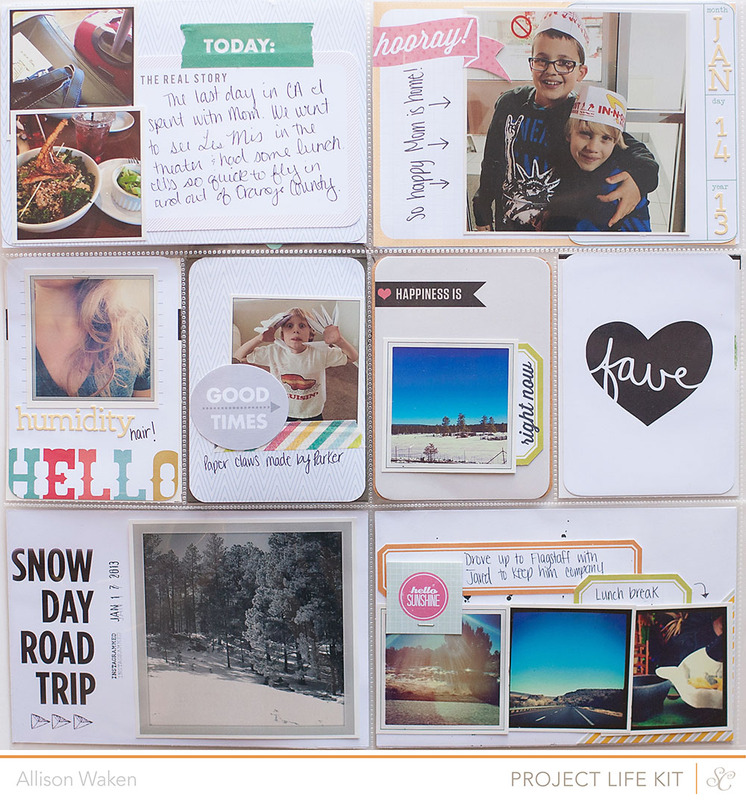 I’m catching up a few weeks I missed and doing my title page for 2013 with this first kit! SO excited to be a part of this amazing team - just look at that list of names!